Trantec has embraced this scientific ideology over the years and has applied this concept towards it’s technology. For over two decades Trantec has managed to exceed expectations and meet the demands of the bulk solids handling industry. The Double Helix concept has been well documented and in the 1950s, James D. Watson and Francis H.C. Crick compared the shape of DNA to a Double Helix. This is still common today as technological companies have developed spiral staircases, corkscrews, drills and even telephone handset chords in the shape of a helix. 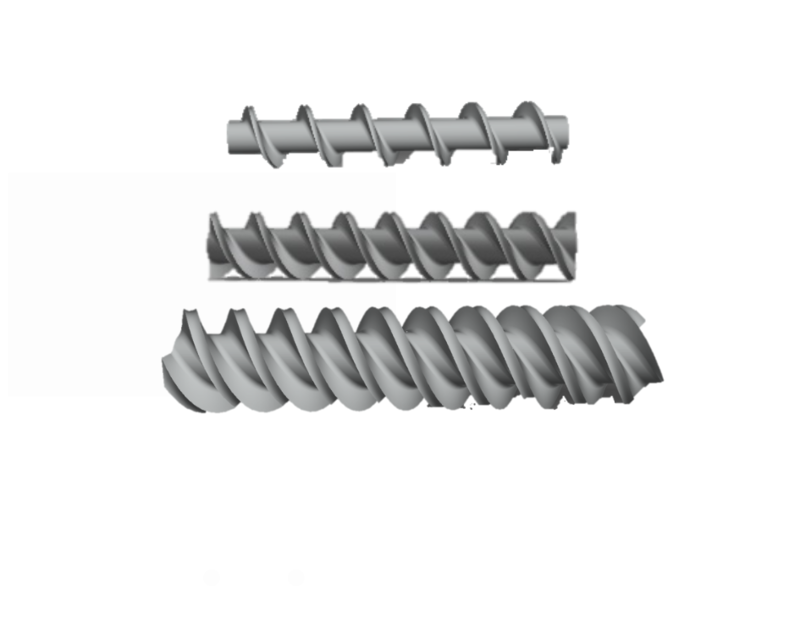 It is important to understand how this concept is being used for the manufacturer of Augers. With such degree of precision and accuracy one must go deeper into the way the different levels of springs work. Typically, there are two types of thread, single start and double start. A single start thread is a single continuous coil element which starts at one end and terminates at the other. They are quite common and cost-effective for their use. They are also easier to manufacture and control. A double start or a ‘multi-start’ thread has two intertwined continuous coil elements passed 180 degrees apart, that run parallel to one another. A major advantage of this is that more contact surface is engaged in a single thread rotation. A ‘Triple start’ thread has three parallel threads and usually starts 120 degrees apart. The main advantage here is that it will advance three times faster than a single lead thread, therefore, the lead is three times the pitch. It is the latter part where we have managed to excel and have the capability to produce and manufacture augers using this concept. This can only be achieved with the use of our high quality, innovative technology. Our investment and firm commitment over the years has paid off. We use the latest CAD/CNC technologies to manufacture even the most complicated Augers and have gone on to build these with careful precision and accuracy. Much of this is down to the accurate designs produced using our manufacturing software. We continue to manufacturer custom bar and wire forms by cold drawing which has allowed small quantities of custom wire shapes to be produced, before being rolled into a Helix. Here at Trantec, we have become increasingly sensitive and conscious in responding to customer needs. Our innovation is illustrated through our metering feeders. The modular nature of the design, quick-release/easy-clean features and incorporating variable storage capacities makes them easy to use. In addition, industries in the food and pharmaceutical records have benefited from reduced downtime. Our Metering Screw feeders serve a purpose for each sector. Our policy of continuous development and adapting new ideas has enabled us to embed innovation into the core of our business.